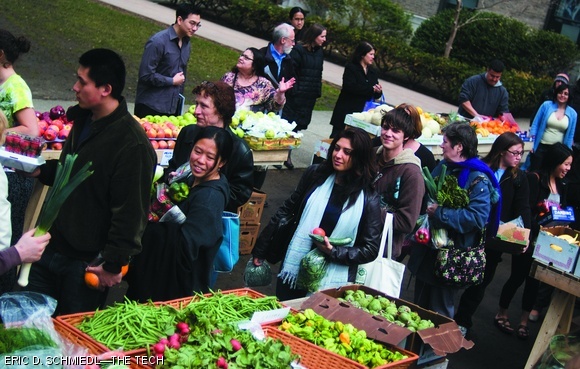 This Tuesday, a farmer’s market came to campus, selling fresh produce all afternoon in the East Campus courtyard. The service was made possible by the Undergraduate Association, The Division of Student Life, MIT Residential Life, and MIT Campus Dining. It will return every Tuesday.